All your early IRA withdrawals must appear on your tax return. The Internal Revenue Service discourages early withdrawals from your individual retirement accounts by imposing extra taxes and penalties. For a traditional IRA, early withdrawals are any distributions you take before age 59 1/2. For Roth IRAs, if you don't meet two conditions for a qualified withdrawal -- the account being at least five years old and you being either 59 1/2, permanently disabled or taking out no more than $10,000 to use to buy a first home -- you're taking an early distribution subject to IRS fees. If you're taking your early withdrawal from a traditional IRA, the taxable portion equals 1 minus the percentage of nondeductible contributions in the account. For example, if nondeductible contributions account for 20 percent of your traditional IRA value, 80 percent of the distribution is taxable. If your traditional IRA doesn't have nondeductible contributions, the entire withdrawal is taxable. Roth IRAs let you take out all your contributions tax-free, because all Roth contributions are nondeductible. Your earnings are taxed, though. 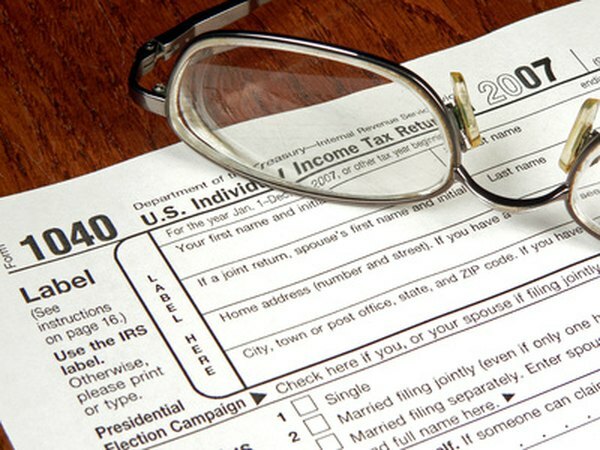 The taxable portion of your early withdrawal counts as ordinary income for tax purposes. To figure how much you'll owe, you need to know your marginal tax bracket, which is the highest rate you pay. For example, if $4,500 of your distribution is taxable and you fall in the 28 percent tax bracket, you'll owe $1,260 in income taxes. If your IRA distribution pushes you into a higher tax bracket, you'll only pay the higher rate on the portion that falls in that upper bracket. For example, if $4,000 falls in the 28 percent bracket and $500 falls in the 33 percent bracket, you'll only pay 33 percent on the last $500. The penalty equals 10 percent of the taxable portion of your early withdrawal. For example, if you take a fully taxable traditional IRA distribution of $5,000, you'll owe a $500 penalty. If only a portion of your withdrawal is taxable, the penalty only applies to that part of your distribution. For example, if your Roth IRA distribution contains $4,000 of contributions and $2,000 of earnings, you'll only owe a $200 penalty. If you qualify for an exception from the early withdrawal penalty, you must subtract your exception amount from your taxable distribution to figure the portion still hit with the penalty. Some exceptions offer full immunity, such as if you're permanently disabled, in which case you won't owe a penalty at all. Others, however, are limited, including the higher education, first-time homebuyer and medical expenses exceptions. For example, if you have $5,000 of qualifying higher education expenses and $7,000 of taxable IRA early withdrawals, the penalty only applies to $2,000.